This was very much how I felt for the first three decades following my apocalyptic awakening in the spring of 1980, knowing full well that I was engaged in making radical changes to Newton’s mechanistic worldview, far more revolutionary than those that Einstein made with the special and general theories of relativity and those that physicists have subsequently made in quantum theory. While what was happening to me was incredibly exciting, I struggled for many years to find a language to describe my experiences, which are unprecedented in the entire history of human learning, unifying quantum and relativity theories by building on David Bohm’s theory of the Implicate Order. As I was born again at thirty-eight, with a nine-month gestation period, I have needed to go through a second infancy, childhood, and adolescence before I reached a reasonable level of maturity as an adult, all the time living in Wholeness as a visionary, able to see with increasing clarity what most can only vaguely see. By digging into what David Bohm aptly called the ‘archaeology of language’, I have now found a coherent set of words and meanings in English that we could use to complete the final revolution in science, just as Newton completed the first by unifying Kepler’s celestial physics and Galileo’s terrestrial dynamics. But this language, unifying all opposites, is scattered throughout my writings, not yet gathered together in the Glossary, which is still under development. 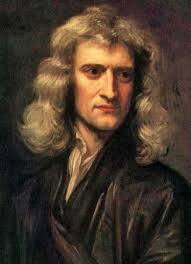 During this great adventure, I have naturally been drawn to study Newton’s life and work, as much interested in his psychological development and his heretical alchemical and biblical studies as his scientific ones, which I studied in mathematics and physics at school. That is the way with evolution, leading Joseph-Louis Lagrange to say prematurely that Newton was “the most fortunate, for we cannot find more than once a system of the world to establish.” What was once at the leading edge eventually becomes assimilated in group consciousness, even that of children. However, while I began my researches into the root cause of the accelerating pace of change in society as an information systems architect, with a background in computer science and mathematics, I have become a mystical psychologist, with experiences very similar to those of genuine spiritual seekers through the ages. I call their paths involutionary rather than evolutionary, which are just two sides of the same coin, never separate from each other in my experience, Wholeness being the union of Wholeness and Oneness and the union of Nonduality and duality, encapsulated in the Cosmic Equation, corresponding to Newton’s f = ma: What is most interesting therefore is not Newton’s outer journey, but his inner one. As the son of a squire at Woolsthorpe Manor in Lincolnshire, what triggered him to follow his path in life, taking evolution in an epoch-making direction? Of most significance here is that Newton’s father, also named Isaac, died three months before Isaac, the son, was born on Christmas Day 1642 in the Julian calendar then operating in England. Isaac’s mother Hannah then married Barnabus Smith, thirty-six years older than her, the rector of a nearby parish, with whom she had three more children. However, Rev. Smith wanted nothing to do with the young Isaac, three years old when he married Hannah. So Isaac went to live with his maternal grandmother under the guardianship of her brother James Ayscough, a graduate of the University of Cambridge. Mother and son only lived together after the death of Barnabus Smith when Isaac was ten, soon after being sent away to school in nearby Grantham. Not surprisingly, such thoughts also affected Isaac’s relationships with his immediate family, from his hated stepfather to the hurt and anger he felt about his mother, even though the bond between them was never broken. Like Einstein, Newton distanced himself from authority in order to create his radically new model of the Universe, as I too have done. Of course, in practice, Newton was a product of his times. He could not have achieved what he did in his lifetime without the evolutionary social milieu in which he lived, as he himself acknowledged with this famous quotation, “If I have seen further it is by standing on the shoulders of Giants.” However, the meaning of this statement needs to be seen in the context in which it was written, in a letter replying to a letter from Robert Hooke in 1676. They were playing ambiguous games with each other, appearing to be friendly and respectful while secreting venom beneath the surface. For myself, I have had similar pre- and post-natal traumas to deal with in my lifetime, not unlike those of multitudes of others. In my case, these were so severe that they led me to question the authorities in my life from the age of seven, at first reinforcing the two un- and subconscious behaviour patterns that arose from these traumas but eventually enabling them to be healed, as evolution became fully conscious of itself within me. In the winter of 2017, I described my ontogeny in more detail in the context of the phylogeny of the human race as a whole in an 80-page essay titled ‘The Psychodynamics of Society: From Conception to Death’.